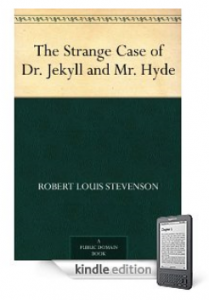 There is a new, really cool digital book set available solely for Kindle called Booksurfers. 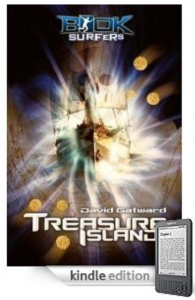 The author is David Gatward and they were just released on June 14. Booksurfers is about four children who are kidnapped and forced to find artifacts from different childhood classics. Who knew that reading for school could be so exciting…and terrifying? Right now, there are two classics available: Treasure Island and The Wonderful Wizard of Oz. The children: Jake, Ryan, Becca, and Harriet get tossed into the action of Treasure Island and the Land of Oz, and have to bring back items to Dr. Crookshanks. Their parents’ lives are at stake if they don’t fulfill Crookshanks’ instructions. This is a really cool way to get kids engaged in classics and provides a much more hands on, interactive experience. It is also a good way to get them to try out the Kindle too. 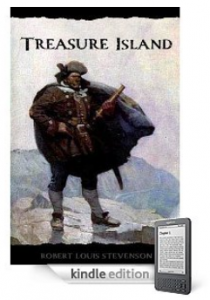 In Treasure Island, the kids must bring back the actual treasure map. They risk their lives and experience the adventures the famous classic holds. The Wonderful Wizard of Oz is structured the same way. The kids become the characters in the book and have to find Dorothy’s ruby slippers, or lose their parents. One aspects of both of these books that makes them so interactive, is that you can click into the part of the actual book that Jake, Ryan, Becca, and Harriet are experiencing. So, this is the closest you get to being a character in the book yourself. The writing style is very conversational and modern, so is should be easy reading for all ages. Whether you are in school, or an adult who wants to revisit the famous books of your childhood. More books and adventures to come. I wish these were offered when I was in school. What classics would you like to see made into an interactive adventure book? I think Mark Twain’s Tom Sawyer and Huckleberry Finn would be good candidates.